The original lighting grid in the Shanklin Theatre consisted of subway grating. 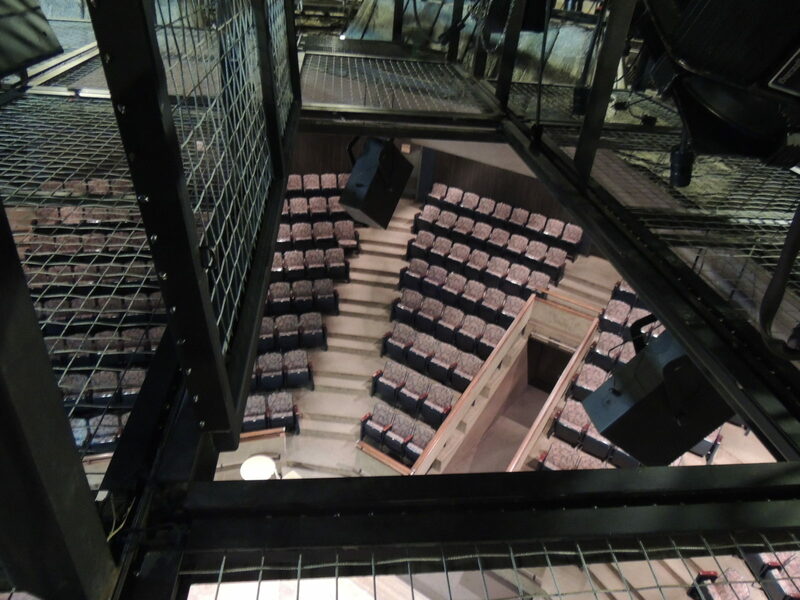 This grating, found over the stage and the thrust stage, was limiting the lighting possibilities. 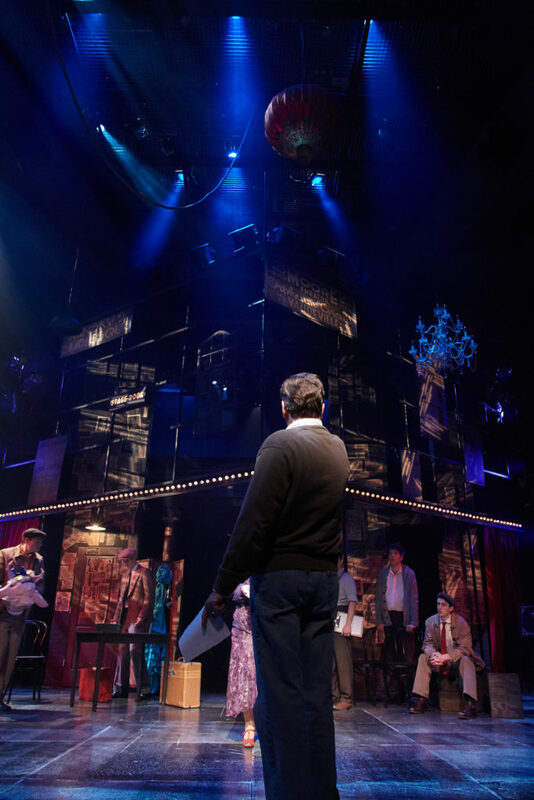 In order to light the stage, the subway grating panels had to be removed. This created a safety hazard to students. 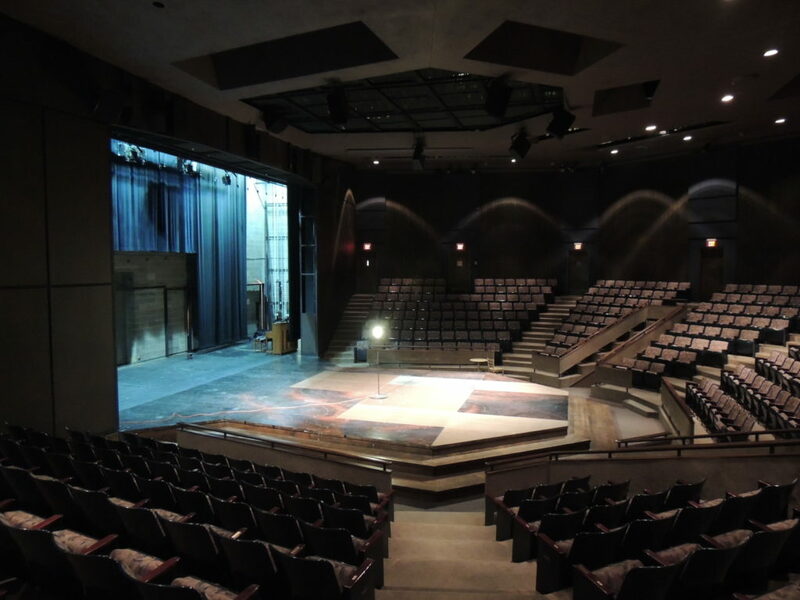 The theatre department contacted IA Stage to replace the grating with SkyDeck for better access and safety. 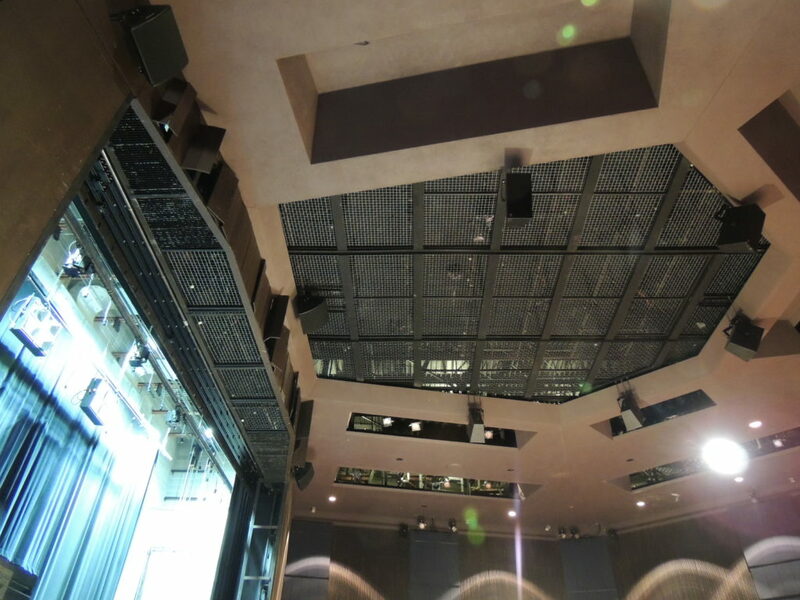 Since SkyDeck can be lit through, the need to remove any panel was eliminated. Students can safely walk up to a light without the fear of falling through a hole. In addition, IA Stage provided a hinged panel to allow for any equipment to be pulled easily to the grid.